To say that I'm a big fan of matcha green tea would be a fact. Almost anything green tea flavored usually appeals to me and there's also alot to like about the wonderful health benefits of matcha green tea. Matcha far exceeds the benefits of green tea since it is essentially the leaves of green tea ground into a powder so their goodness remains intact. It is a powerhouse of antioxidants with one cup providing over 5 times the antioxidants of any other food. It can supply a mild energy steady boost for 4 to 6 hours since it acts as both a relaxant and stimulant. The L-theanine in matcha produces seratonin and dopamine, chemicals that improve memory, enhance mood and increase focus. It also has detoxifying properties and has been shown to boost metabolism. 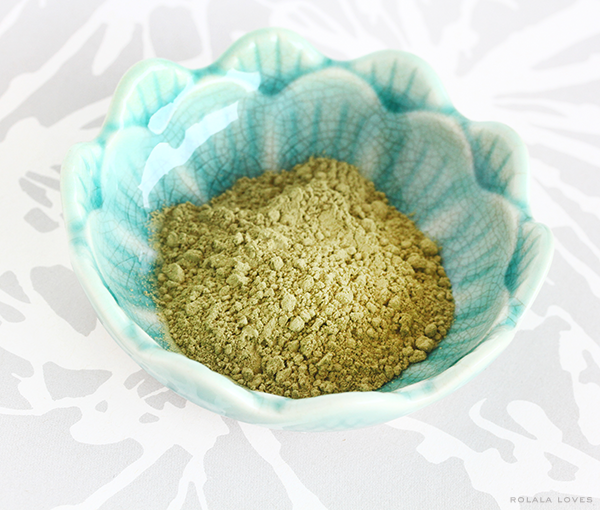 I recently swapped out my usual Japanese matcha green tea powder to try out Kiss Me Organics Certified Organic Matcha Green Tea Powder. This product is USDA certified organic and comes conveniently packaged in a resealable foil pouch. It is a good quality matcha that has a mild earthy green taste. In this form, matcha can be easily incorporated into a variety of recipes. I'm going to share two of mine today. One way I have it is in my matcha green tea lattes. I'm not a coffee drinker but I do drink copious amounts of tea daily and this is a drink I like in the morning or early afternoon. Matcha is relatively low in caffeine but I avoid having it late just to be safe. Starbucks and Peets both have commercial versions of a green tea latte. Those drinks are not only expensive but they don't contain much actual matcha and have alot of sugar even if you get it unsweetened so it's not something I'd recommend especially when it's really easy to make on your own. Another way I use matcha green tea powder is in a DIY brightening and exfoliating facial treatment mask with manuka honey and lemon juice. The polyphenols in matcha green tea have been shown to help protect the skin from harmful UV rays while improving blood flow and oxygen levels. Manuka honey is a medical grade honey known for it's antibacterial, anti-inflammatory and antiseptic properties so it heals and nourishes the skin. Lemon is rich in Vitamin C and citric acid making it a terrific natural skin brightener and exfoliant. This mask leaves my skin feeling incredibly soft, smooth and refreshed and I love that all the ingredients are natural and edible. Whisk match green tea powder and water in a small bowl until the tea is dissolved and the top foams lightly. 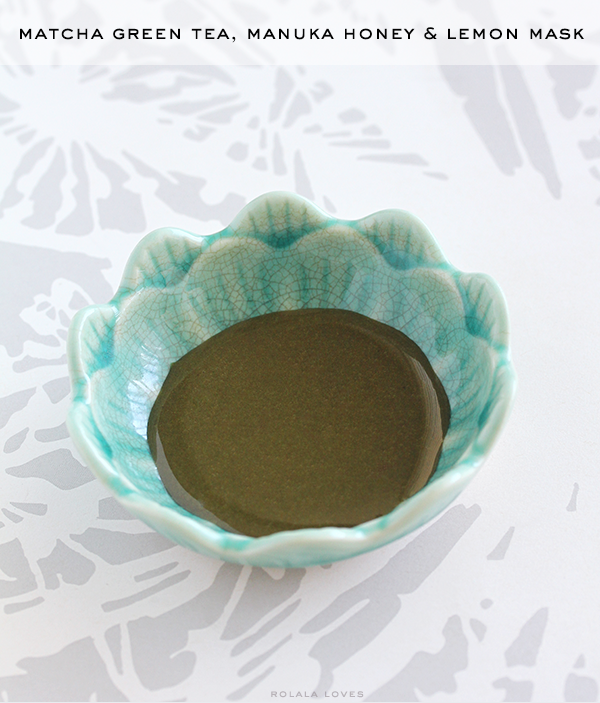 Mix the matcha green tea powder with manuka honey to form a thick paste. Add the lemon juice and stir in until completely combined. Apply liberally to your face and leave on for 20 minutes. Wet your fingers with water and massage the mask into your face . Rinse thoroughly and follow with your usual skincare regimen. So these are two of the ways I use matcha green tea. I haven't tried baking it with it as I'm not much of a baker but I did make matcha lemonade over the summer and it's so refreshingly delicious. Just add 1 tablespoon of matcha green tea powder per quart of lemonade. Kiss Me Organics Organic Matcha Green Tea Powder is available exclusively from Amazon. The price is $25 for a 4 oz. bag. I will love to try this green tea has great benefits for inside and out like how you share a recipe to enjoy and one to home spa what an awesome way to boost metabolism. I love the standard green tea, but haven't tried matcha yet. Thanks for the recipe! I think I'll give this a try soon. sounds like a winner! 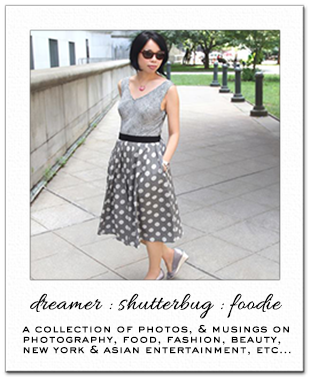 i am sharing matcha tea today on my blog. I love matcha green tea too, Rowena:) TY for sharing that latte recipe. I've never tried matcha, it's harder to come by over here but I must get on it! I am a coffee lover but I also drink a cup of green tea every day. It's healthy, it burns calories (I don't know how many but I've heard it is a calories burner for the laziest, haha) and it is tasty. I haven't tried matcha green tea but it sounds very good. Especially when I can use it as a skin exfoliant! Thanks for sharing your experience and those recipes! I need to try this! I'm not a tea addicted but I drink it as often as I can because it's much more healthier than coffee! Brilliant!! I always felt SO fancy using the matcha powder! I got used to it when I lived in Japan. I NEVER even thought of it out of the box like this!!! So cool. I am thinking of ways to incorporate it into desserts now! Thank you!! i must that latte tea recipe! also the mask! great stuff rowena!! I love tea and rink it often. I have to try this out soon. I drink a cup of green tea (decaff) every day. I find drinking it in the early evening is best. Sometimes I'll get hungry and instead of eating before bed I'll opt for this which is so much better and I love how it is rich in antioxidants. I would like to try it... great recipe!!! I love matcha green tea too. I'll need to try the latte recipe. These look and sound so lovely! Great photography too! I'm a fan of matcha green tea latte too! Never knew it can be used on the skin too. You and I are the same, Rowena! I'm not a coffee drinker, but I love tea. And my favorite has to be match green tea. I don't see it in coffee shops very often (boo! ), but i can never resist it. The only thing I get at Jamba juice, is Matcha Green tea smoothie! And I recently bought some matcha, so I can make my own! yay :) I have to try making the mask now! Thanks for the recipe for both, just in time! P.S. love the new profile photo of you! Sorry if it's been around for awhile, I've been MIA! I know it is so healthy for you, but I can not drink it as it has alot of caffeine in it, it gives me palpitations and chest pressure. But is is good for those that do not have a rapid heat beat like I do. And love the glass and bowls!! I love green tea but I'm yet to try this brand. I love organic tea, from green to black. I'd like to try your receipe! uhm, I want to try it in my face! It has been a while since I have tried green tea but probably a few years ago I tried it several times and just could not make myself like it. I really wanted to like it because of the health benefits. Maybe I need to get it another go. I have not tried green tea but I have seen it advertised. Looks like a product to use daily. I have a green tea with my lunch everyday - will have to see if I can find that brand here. oh yum! I love matcha green tea as well! I've never tried matcha green tea! What wonderful health and beauty benefits! I need to add this to my life. Thanks Rowena. Oooh my gosh that tea latte looks phenomenal--bookmarked this page for (very near) future reference! Thank you!! I have some matcha tea but I never thought to put it into a mask, I might just try that! Matcha is very pretty helpful when it comes to lose weight but the challenge is the awful taste which can be avoided by brewing it. The Matcha cup cakes look great too. Gotta try them. 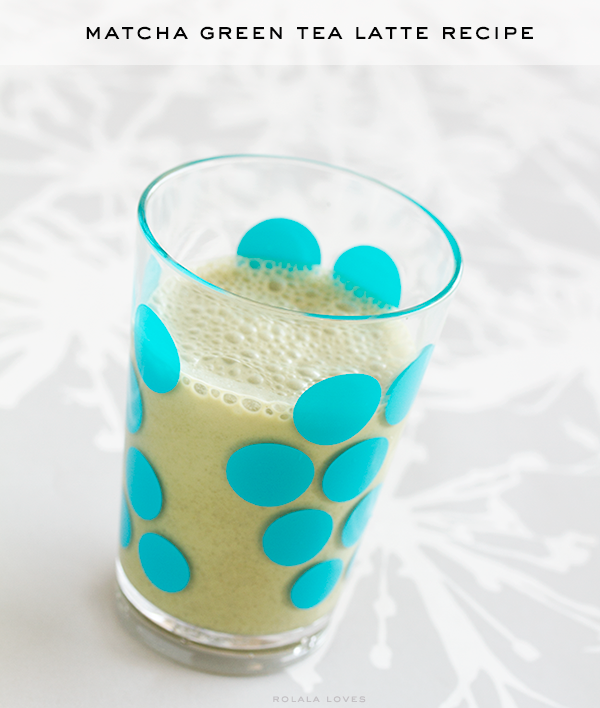 Your Green drink is looking so delicious; I would love to have this every morning. You know my mother also prepares Matcha Green Tea Latte using same method that you have shared with us.